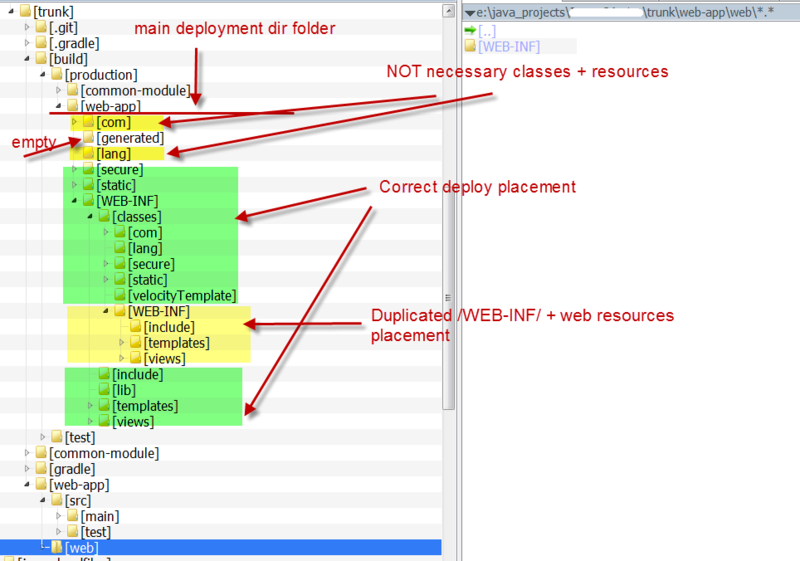 I had and still have dificulties with deployment idea 12.0.2 web project as WAR exploded articate. Project has two module /common jar + web app module. Project is created by gradle 1.3 build script, exploded war artifact is created manually, but I can't get it properly working. 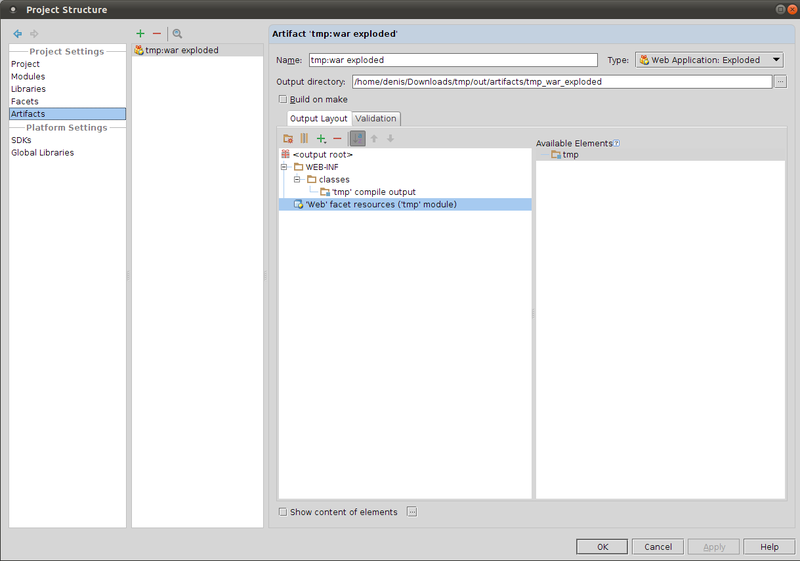 The same project build by gradle script work fine. Here is my screens. Am I missing something? thank you for quick support answer. Now I have much better result but it is still not quite good and have some mess inside deplyment folder. Ok, I read again you suggestion and removed that. 'src/main/webapp' dir shouldn't be marked as a source dir. Try to not make but rebuild the project and artifacts (Main Menu | Build | Rebuild Project). Attach a sample project here is that doesn't help. It seems that the same directory (trunk\build\production\web-app) is used as an output directory for the both the module 'web-app' and the artifact 'web-app'. 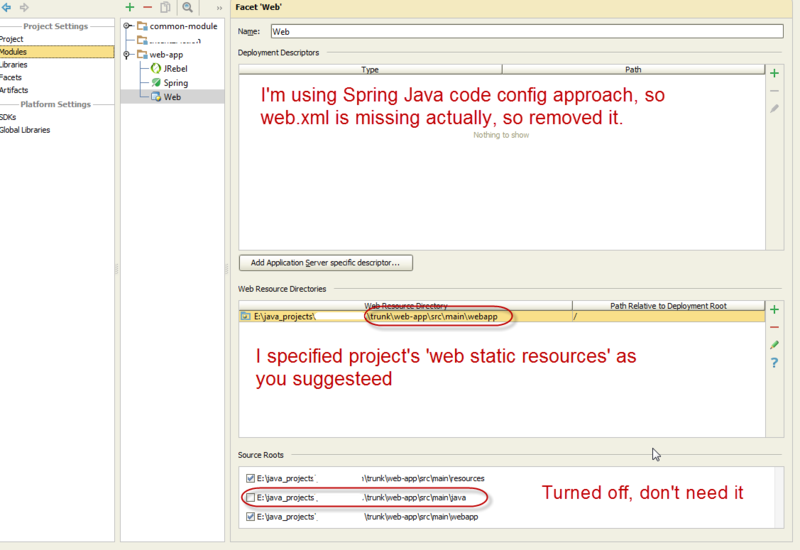 Try to specify different output directory for the module 'web-app'. Sure, I did that way. Nikolay, you are completely right. 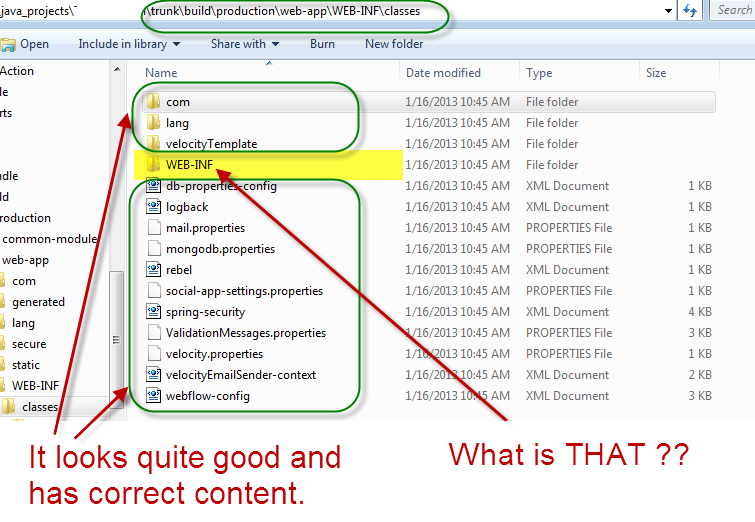 I had 'web-app' module compile output path the same as for 'web-app' artifact. 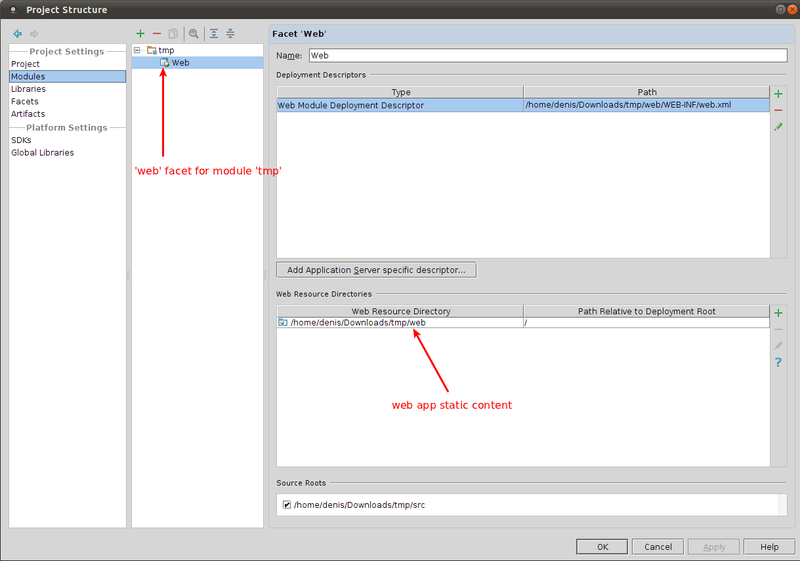 After changing output for 'web-app' module to (trunk\build\production\web-app-module) now it works as expected, 'web-app' artifact folder contains completely correct content.